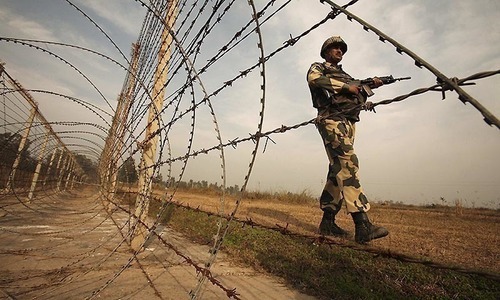 An elderly man was killed in Azad Jammu and Kashmir as Indian troops resorted to unprovoked firing from across the Line of Control after midnight, officials told DawnNewsTV on Monday. Shariq Talat, district disaster management officer in Kotli, said that Khan Muhammad, a 60-year-old man, was killed in Dabsi village of Nakyal sector where he had gone to attend a wedding ceremony. “A bullet hit him in the neck, leaving him dead on the spot at about 1am,” he said, adding that all others at the wedding remained safe. The deceased belonged to Fandyot village of neighbouring Goi sector. 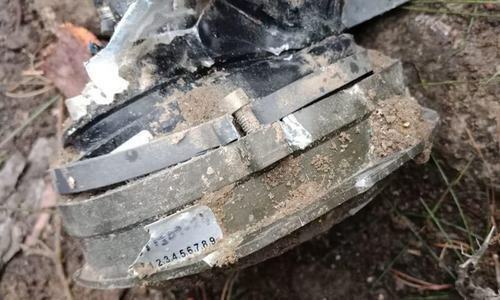 Talat said that though the firing by Indian troops was largely with small arms and in parts of Nakyal and Goi sectors, they also lobbed some mortar shells. No other casualties were reported, he added. The heavily militarised LoC, which splits the disputed Himalayan region between the nuclear-armed India and Pakistan, has been tense for quite some time, particularly after a suicide attack on an Indian army convoy in Pulwama district in February. 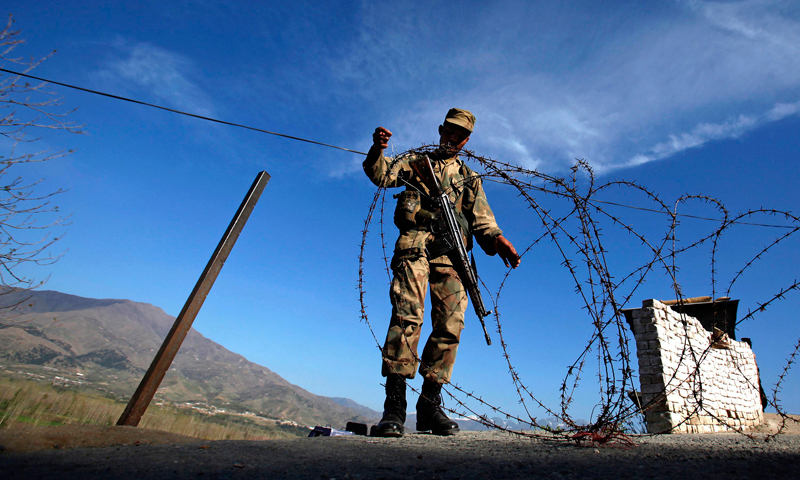 The LoC had been relatively calm for the past one week, as the last casualty had occurred on April 9 when a 14-year old boy was injured in Jogal Pal village of Khuiratta sector in Kotli district. According to Saeed Qureshi, a senior director at State Disaster Management Authority in Muzaffarabad, ceasefire violations by India have claimed the lives of 13 civilians – 8 males and 5 females – and five army personnel in AJK in the current year while 79 civilians – 49 males and 30 females – have sustained injuries. Apart from the casualties, Qureshi said, at least 194 houses, one mosque, two school buildings, three cattle sheds and five vehicles have been partially damaged while 12 houses and 2 shops have been completely damaged in Indian shelling in different areas of AJK. Seems that india-pakistan will fight against each other forever ....sadly, this time anbold man had to pay the price.....is there any way for peace in this region? That looks like a deliberate target on an innocent old kashmiri by indian army. Shame on them. @Zak, ofcourse. You are always right. India never ever fire without provocation.